My weekend goal is to get my Christmas star quilt top made! These stars are so fun to make. Next week I’ll make size, fabric requirement, and cutting instructions for this tutorial to make this quilt even easier on you. 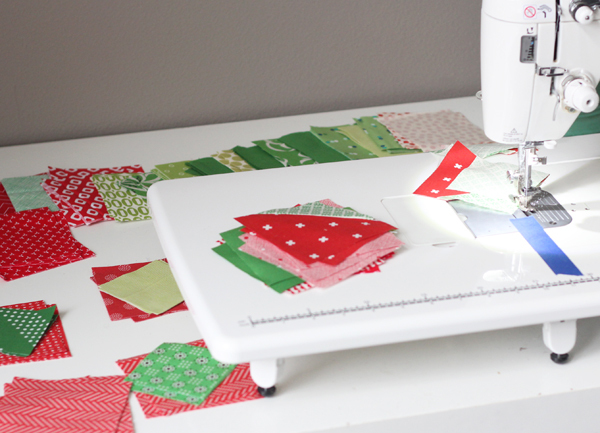 I love all of these red and green basic prints…I’ve been saving a few of these just for this quilt! Oh so pretty! I knew I’d been saving Christmas colored fabrics for something special! I LOVE HST’s, too! Thank you! Such a pretty design! and pretty colors! What great blocks!! The fabrics are bright and cherry! Sure wish I could keep up with my blogs. I guess it’s not important to me. I’d rather lol at others’. Thanks Judy! You’ve kept up with mine a LONG time! I remember you commenting years ago!! Happy Holidays! The stars are really pretty. Nice Christmas quilt!! 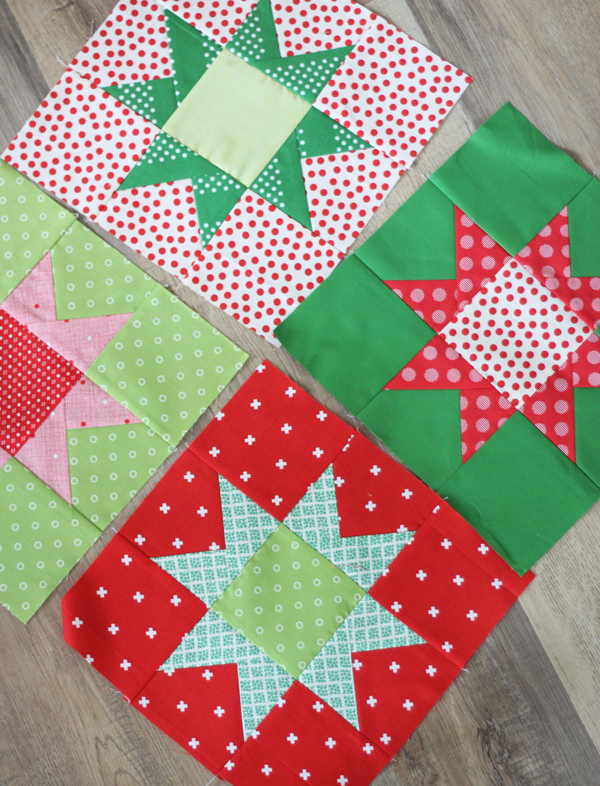 Such pretty star blocks – and especially love that I don’t have to worry of ‘sewing off’ my star points :)! I love this quilt! So pretty and bright. Thanks for sharing how to make these stars. Awesome. OMG! I looked up your Star quilt tutorial last week, and began making a Christmas quilt! I made a July 4th quilt with the same pattern last year, and knew it would work well to show off the fabrics in the Noel collection from Cotton & Steel. 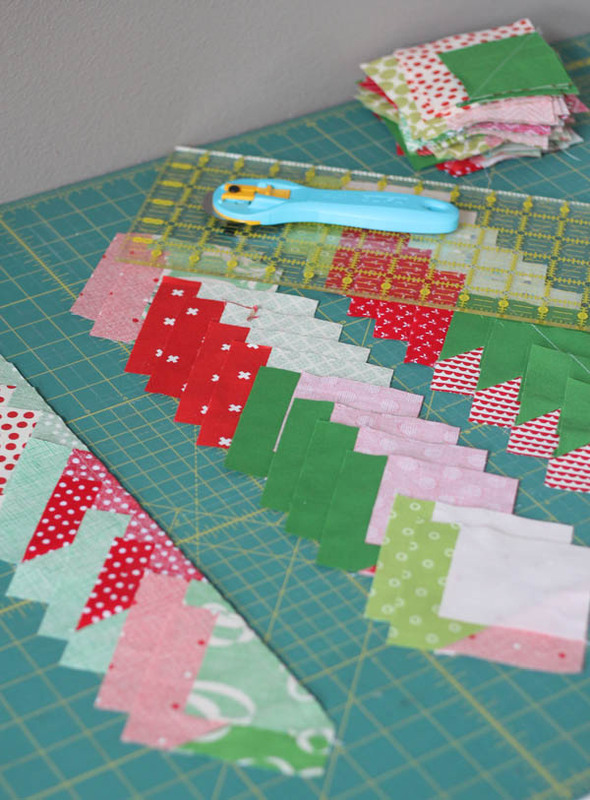 I’ve already cut all my fabric, and now I am piecing the blocks. I’ve tried in the past to make a Christmas quilt, by I always ended up putting it aside becasue I didn’t like how it was turning. 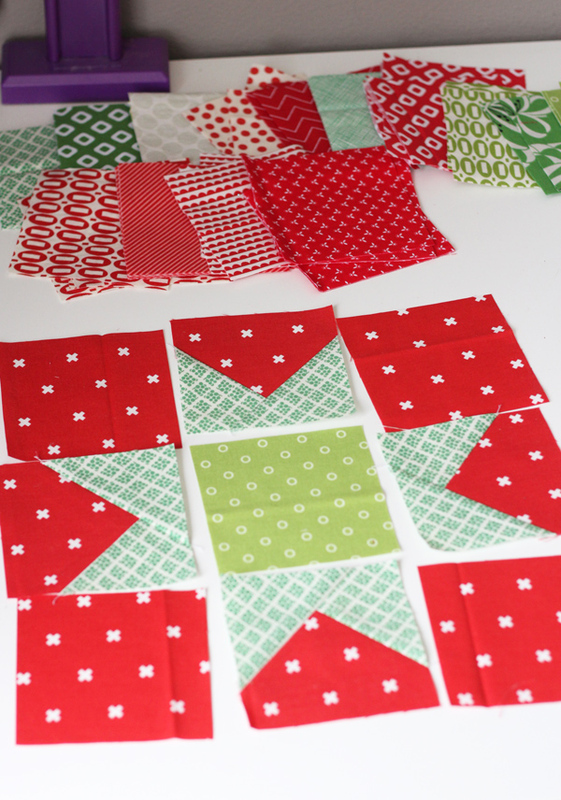 This combo with your pattern and the Noel fabrics is turning out great! Thank you so much for the tutorial. I’ll send you a photo of the quilt top once it’s finished. Wanted to comment about size of stars too. Like Little Quiltsong I love that I won’t cut my points off and they seem to be floating within the block. Piecing is my challenge and here is a pattern that I think I could do. Thank you! Your piecing work is perfect. I’m just an new quilter, I don’t know when I could create as good as this. ALLISON! I love your patterns (and fabric). I have made your Touchdown, Shortcake, am ready to piece Pumpkins, and hope to make Pow Wow for my niece’s high school graduation. This is saying a whole lot considering my quilt completion rate is quite minimal at this stage of my life… it took me over two years to make Touchdown. :) Keep on, Mama!